This blog post is where I keep a constantly updated list of all the tools I use to make this blog happen. If there is anything you have questions about please leave a comment or contact me and I’ll do my best to answer your questions! 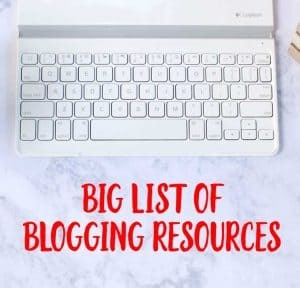 I love helping new bloggers build their dream blog so I’m here for you! So how does this whole blogging thing work? WordPress.org (not .com!) WordPress is the best blogging platform out there in my humble opinion. It’s possibilities are endless and you have complete control over your own website. To use WordPress.org you’ll need to pay for your own web hosting. Bluehost has hosted my blog since I first switch to self-hosting from a free platform in August of 2012 and I love them. You can also use them to purchase your domain name and they can even install WordPress onto your website through their platform. They’ve been very communicative and responsive to me, as well as being proactive and reaching out to me as my blog has grown to make sure I don’t have downtime or slow loading speeds. They’re also affordable! ****UPDATE**** As of September 2015 I no longer use Bluehost. I never had problems with them but as my blog has grown I wanted a smaller company with more personal attention. I switched to OrangeGeek and they are a boutique full-service hosting company which means I no longer have to take care of my own back-end blog work. They handle backing up my blog, caching, CDNs, etc. 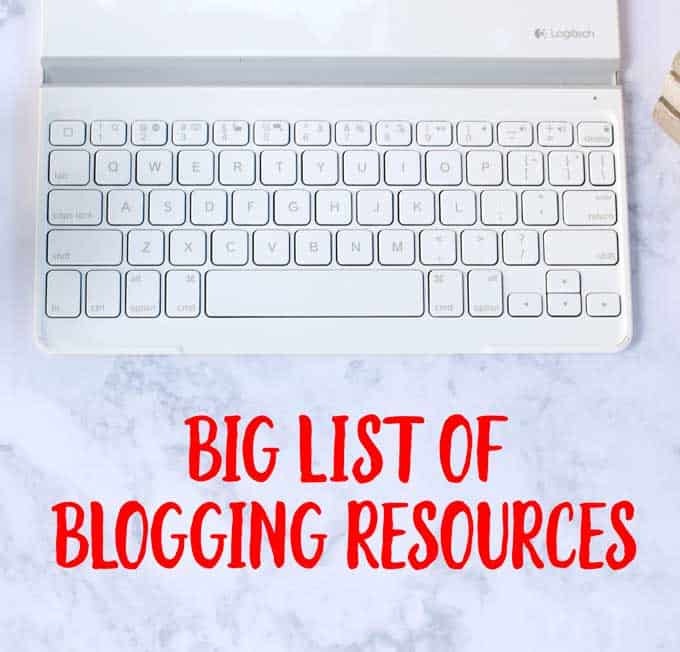 If you don’t know what all that is then I don’t think it’s worth the higher price and I still recommend Bluehost for beginning bloggers for the great price! Genesis Framework-it’s the gold standard as far as I’m concerned for the “frame” of your website.With Genesis you purchase the “framework” of your site and then you can customize it with different themes. It makes running your site easy as well. Foodie Pro theme is what you see on my website right now. I love it. It’s very flexible with a lot of options for the appearance and functionality of your website. I highly recommend this theme. Social Warfare is a plugin I use for my social sharing buttons. I use the basic package which is $24 a year but I highly recommend it over free social plugins. It was recommended to me by my tech guru because other plugins will massively slow down your site and could leave it vulnerable to attacks. Canon Rebel T5i was my camera of choice until 2016 with a fixed 50mm/1.8 lens for food shots and the standard kit 18-55mm lens to take photos of my decor/wider shots. Sony a6000 mirrorless camera– I recently upgraded to this mirrorless DSLR camera, it’s smaller and has unbelievable autofocus. It was nerve-wracking to make the switch but I don’t regret it at all. The camera body itself is less expensive than the Canon Rebel but I spent more on a 35mm fixed lens. This camera makes shooting beautiful food photography a breeze. Vanguard Alta Pro tripod is a must for my food photography. Without a tripod I cannot get the crisp photos I love so much. I can also swing my camera out on the middle arm to take those overhead pictures that are perfect for food! Just unpacking it out of the box I was so impressed with the quality-it’s worth the splurge if you regularly shoot on a tripod! Shoot, Fly, Shoot is a great course for anyone starting out with photography. It’s a visual course that teaches you to shoot on manual-it made an insane difference in my photography when I took the course. Food Photography Book For food-specific photography The Food Photography Book by Nagi of RecipeTinEats is one of the most helpful and eye-opening resources for food photography I’ve seen-very practical and easy to understand for those looking to take their food photography to the next level. My food photography improved significantly after reading this book. Adobe Creative Cloud I edit my photos with Adobe Photoshop and Lightroom using a subscription plan that is $10 a month. The Food Photography Book listed above has incredibly helpful Photoshop tips and my friend Beth at Unskinny Boppy has some great Lightroom tutorials on her blog. PicMonkey is a free photo editing tool I use when I need to do fast/simple editing. It’s a web based application that is very easy to use. I upgraded to the Royale membership for the extra features-it’s very affordable. Adthrive runs my blog’s ads and they are amazing! I was one of their very first customers and I would not be able to be bringing home a full time income without their help. I highly recommend them for any blogger that meets their pageview threshold. Ad networks: I have also worked with AdSense, Martha’s Circle, Price Grabber, Pulsepoint, Sovrn, Triple List, and ZipList/Food Innovation Group. Media Companies like IZEA, Tapinfluence and Social Fabric connect influencers (you) with brands (who pays you!) for sponsored posts. Tailwind schedules pins and lets me form “tribes” with other bloggers to find useful things to pin. It also helps you analyze your Pinterest performance and pin at optimum times. Very useful! Mad Mimi is the tool I used to use to manage my email list and send newsletters and blog posts to my readers. I found the platform super easy to use and the price is very competitive. ConvertKit is the mail delivery system I currently use. As my email list grew and I learned more about the importance of growing and nurturing an email list I realized that I needed more than a straight mail delivery system. ConvertKit has an incredibly easy, intuitive platform that allows me to categorize my subscribers by interest, send amazing automated timed email campaigns and really took my blog as a business to the next level. I HIGHLY recommend it if you are blogging professionally and wished I would have switched over sooner. Leadpages is a great tool for creating fun pop ups for your blog as well as static landing pages for your blog’s products and special offers. It’s really changed the way I serve my readers and helps me to offer them better, more valuable content. Gravity Forms is a new plugin I’m in love with. It helps you to create forms on your blog and is so versatile! You can use it to set up a store, register people for events, and of course make super cool forms like the fun one on my Contact Me page!